There are still over two million desktop application developers—i.e., currently writing or maintaining Windows desktop apps, whether written in C++ or .NET. Regardless of your targeted platform and environment, be it Winforms and C#, or WPF or UWP, Visual Studio is the IDE of choice. VS Code is gaining popularity, and our devs use it for some projects, but VS is the bread and butter around here. Mobilize.Net’s AI-driven code migration tools reduce the cost and time to modernize valuable legacy client-server applications. Convert VB6 code to .NET or even a modern web application. Move PowerBuilder to Angular and ASP.NET Core or Java Spring. Automated migration tools cut time, cost, and risk from legacy modernization projects. PreEmptive Solutions provides quick to implement, application protection to hinder IP and data attacks and improve security related compliance. With thousands of corporate clients spanning virtually every industry in over 100 countries, PreEmptive provides exceptional value with minimal implementation costs for organizations serious about enhancing secure development with application hardening. PreEmptive’s application shielding and .NET, Xamarin, Java and Android obfuscator solutions help protect trade secrets (IP), reduce piracy/counterfeiting, prevent inspection/tampering of code and data. Whether its client, server, cloud or mobile app protection, PreEmptive can help you protect your assets now. Whether you are looking for a simple eSignature integration or building a complex workflow, the DocuSign APIs and tools have you covered. Our new C# SDK includes .NET Core 2.0 support, and we just released a new Quick Start API code example for C# , complete with a 4 minute installation and demonstration video. While C# is our most popular language, we also have open source SDKs for PHP, Java, Ruby, Python, and Node.js. Docker Enterprise is the leading container platform, familiar to millions of developers and the only one supporting multiple Windows Server and Linux distributions. If you’re new to Docker check out the Modernizing .NET Apps for Developer series or if you’re ready to use Docker then get started with Docker by downloading Docker Desktop. CData Software is a leading provider of Drivers & Adapters for data integration. The CData Drivers offer real-time SQL-92 connectivity to more than 100+ SaaS, NoSQL, and Big Data sources, through established standards like ODBC, JDBC, ADO.NET, and ODATA. By virtualizing data access, the CData drivers insulate developers from the complexities of data integration while enabling real-time data access from major BI, ETL and reporting tools. 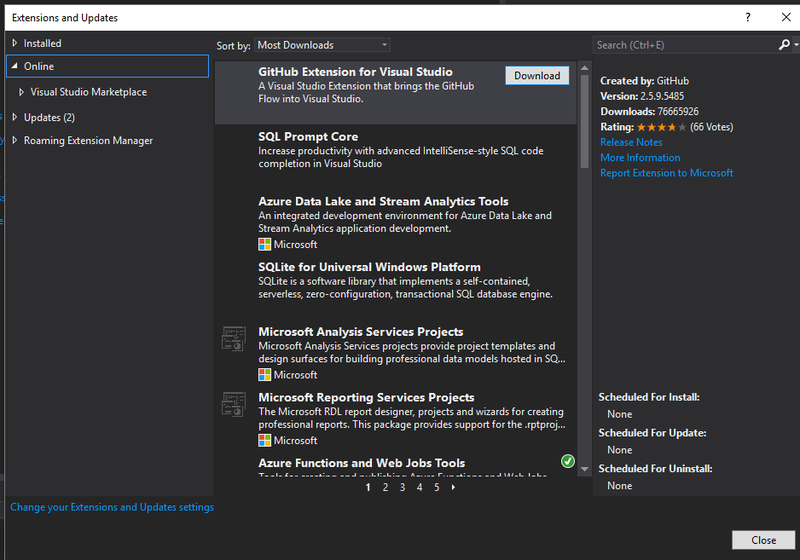 Write SQL, get data – from anywhere! Twilio powers the future of business communications. Enabling phones, VoIP, and messaging to be embedded into web, desktop, and mobile software. We take care of the messy telecom hardware and expose a globally available cloud API that developers can interact with to build intelligent and complex communications systems. As your app’s usage scales up or down, Twilio automatically scales with you. You only pay for what you use – no contracts, no shenanigans. On Tuesday, Dec. 4, two important conferences will overlap: DevIntersection and #MSFTConnect(). There is a lot going on at these conferences with a spectacular list of speakers and sessions for both developers and IT pros. 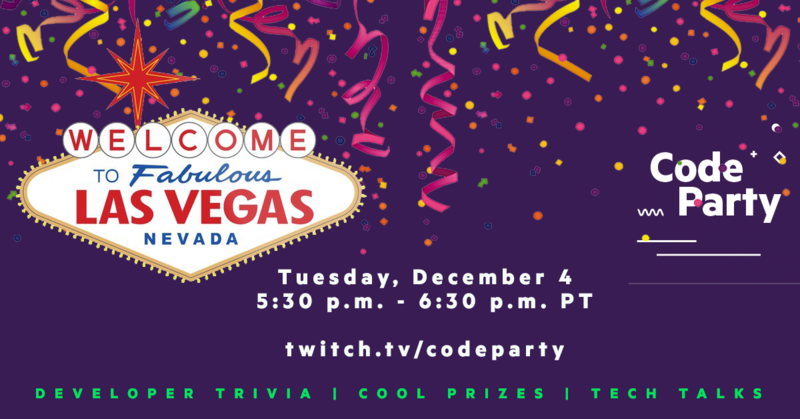 #MSFTConnect is an online-only event (DevIntersection is happening at the MGM Grand in Las Vegas) and when the #MSFTConnect crowd is finished at 5:30 we will be co-sponsoring another hilarious and prize-filled stream of geek weirdness and trivia questions on the CodeParty twitch channel, hosted by Mobilize.NET. Be sure to tune in because the only way to get some of their high-quality swag is to answer the trivia questions on the Twitch chat stream. They’ll be giving away a couple of Surface Go laptops, gift certificates to Amazon, an Xbox and a bunch of other cool stuff. Don’t miss it! This entry was posted in News and tagged CodeParty, DevIntersection, Event, MSFTConnect. Bookmark the permalink.